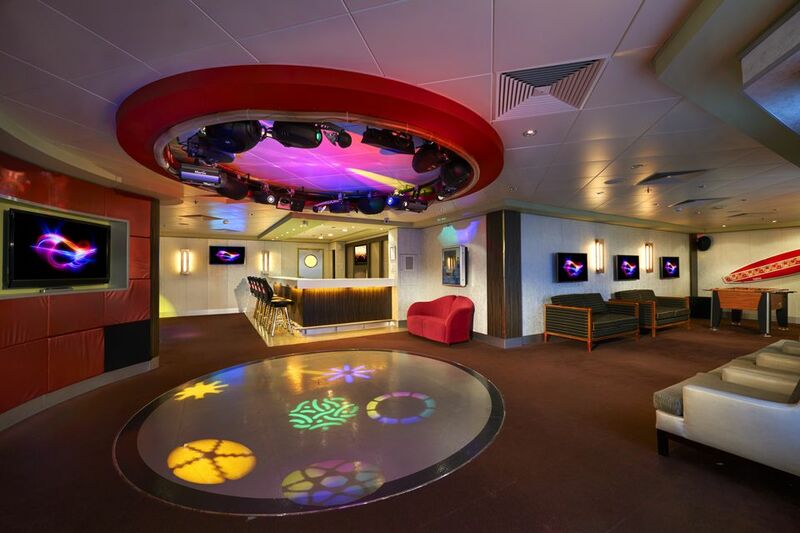 The Norwegian Gem has plenty of areas that children and teens will enjoy. Family cruises are a great vacation for all ages, but kids want their own space to meet new friends and have fun. A cruise offers children and teens the opportunity to interact with kids from around the world in a safe environment in their own dedicated space. Guppies Programs (6 months–under 3 years): Guppies-hosted activities and open playtime are fleet wide for parents and babies. The drop off nursery has a fee. Splash Academy (ages 3–12): Parents can sign their kids up for the Norwegian Gem complimentary youth program. Kids can enjoy creative play, sports, theme night activities, parties, and more under the supervision of the youth staff. Children are divided into three groups: Turtles (ages 3 to 5 years), Seals (ages 6 to 9 years), and Dolphins (ages 10 to 12 years). While the Turtles have activities such as arts and crafts, painting, treasure hunts, and storytelling, the older children enjoy activities such as circus skills, painting, sports, games, and team-building challenges. Entourage (ages 13–17): Teens will love hanging out in a place filled with video games, movies, arts, music, sports, and (most importantly) people their own age. Teens will always find some fun in the Norwegian Gem's teen centers, and parents will appreciate that the fun is complimentary and supervised. Late Night/Port Play: Parents can drop off the kids and have a romantic night out. Late Night/Port Play is available on days in port and evenings for children ages 3–12. This group sitting is supervised by the certified youth staff on the Norwegian Gem, but an additional charge applies. Small children love playing in the pool, and this one is just right for the little ones. The main swimming pool is always a popular place for families with children on a large cruise ship, and the Tahitian Pool Deck on the Norwegian Gem offers lots of fun activities for older kids and adults including a water slide, regular pool, and hot tubs. For kids who don't like to wade or paddle, splashing in the shower on the pool deck is a good way for these younger kids to keep cool on a hot day at sea. Children ages 2 to 12 can enjoy the fun in the Tree Tops Kid's Club, located on deck 12. It has a jungle gym, cinema, arts and crafts room, and rest area. There is also a kid's pool and shower outdoors on the deck. The Leopard Lounge is a hip place for teens to just hang out with their new friends and enjoy TV, music, dancing, and sports. The Leopard Lounge has a disco, televisions, dance floor, a non-alcoholic bar, video jukebox, and table football. The Norwegian Gem staff members have all sorts of movie nights and parties just for teens. The video arcade, filled with the latest games, will attract those kids who don't get enough at home. What Is There to Do on the Norwegian Pearl Cruise Ship?